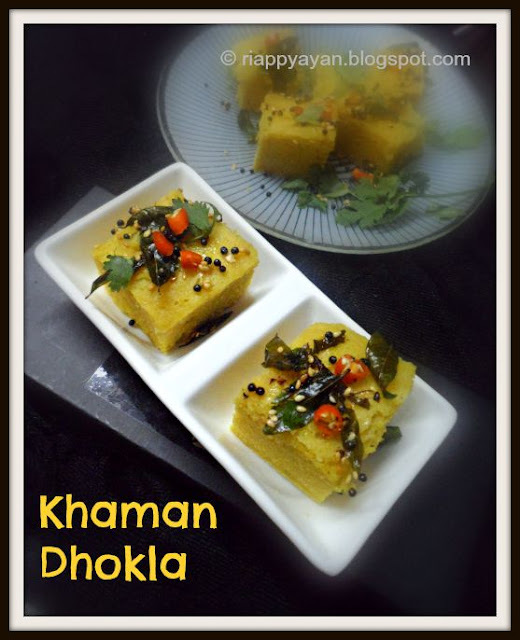 This is a foolproof recipe, tried and tasted many times in my kitchen. 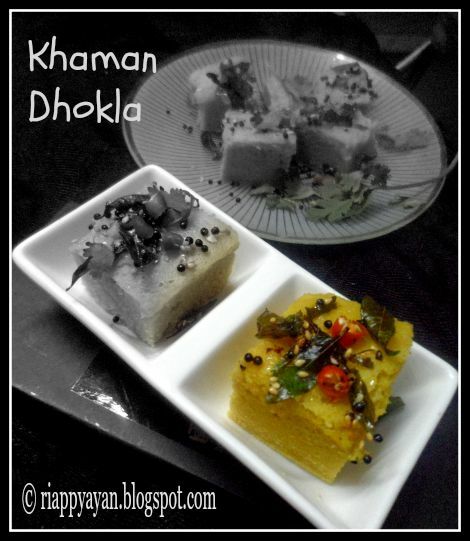 If this recipe can be followed from top to bottom, you'll get fluffy, soft pillowy dhokla. Don't get overwhelmed with long list of ingredients and procedure. Mix first 1/2 cup curd with 1/2 cup of water. To this add the besan and mix well to get a lump less batter, the consistency should be of idli batter, more of dropping not pouring consistency. Slowly add more water if needed else, add the soda. Keep it aside to rise for 1 hour. If you are using a pressure cooker, fill the pan with water, place a plate over which you will have to use a plate for steaming the dhoklas. In a bowl, mix 3 tsp of water along with a tsp of oil.Remove the plate from the pan, pour the water and oil mix over the top. Method : Take all the ingredients except coriander in a food processor. Grind to a smooth paste. Then add the coriander and again grind. 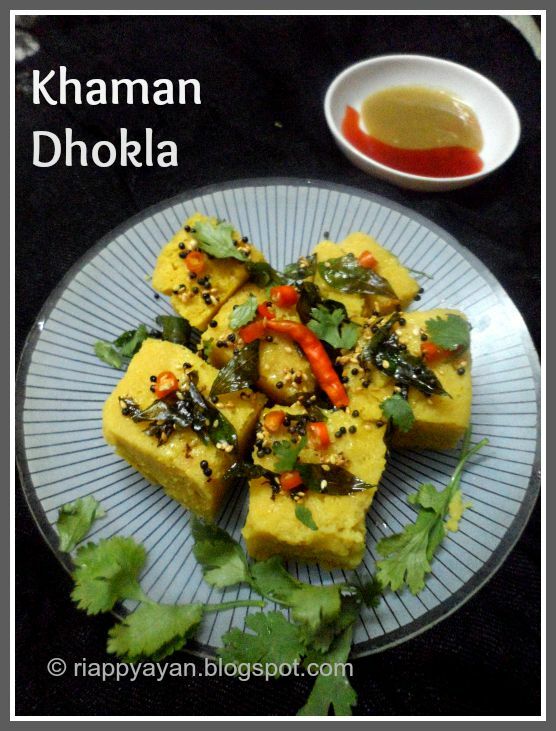 Remove to a bowl, add the remaining lime and serve with Dhoklas.